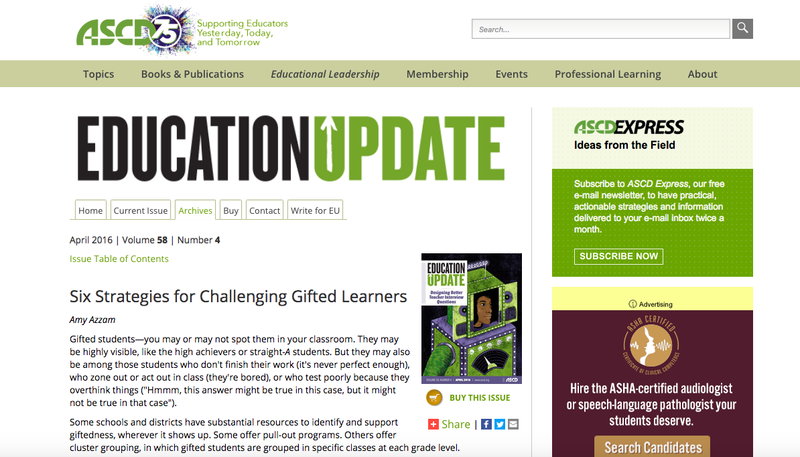 Are We Challenging Our Gifted Learners? Day 19 of the giftEDnz October Blog Challenge focuses on ways to challenge our gifted learners. 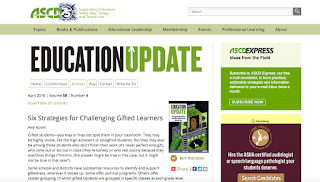 This article discusses many of the same issues we face in Aotearoa New Zealand - how to identify gifted students, which programmes, which definition...the list is pretty much as long as you want to make it. What it basically boils down to for me, however, is teacher awareness and understanding along with knowledge of the possibilities of giftedness. I think if we can start from this place of awareness then we are much more open to being able to recognise giftedness in its many forms. If we are coming from a place of assumptions and judgement of what a 'typical' gifted learner 'looks like' then I think that's the point where we are running into trouble and there is huge potential for gifted students to not be identified and have their specific needs met. 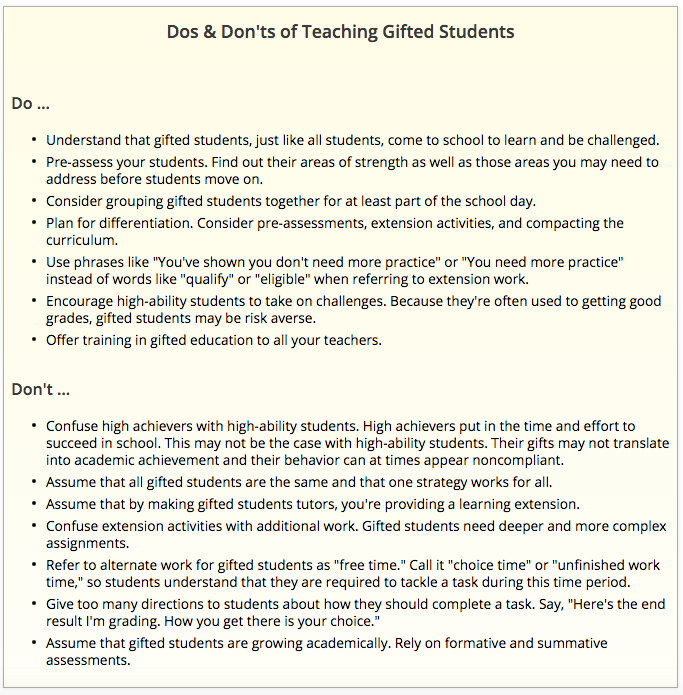 The article covers six strategies for challenging our gifted students. These are listed below. I've chosen to reflect on each one and what it might look like in our learning environments based on my previous experiences. This is about compacting the curriculum for our gifted students. If a student is able to demonstrate understanding in maths when they've completed a set of problems accurately why would we make them do more 'practice' worksheets - or any worksheets? At this point, they need extension learning activities that link to real-world contexts so that they can apply the knowledge and understanding that they already have. We also have to be incredibly wary of using them to support other learners all the time. Some support and help is great and builds tuakana-teina but if this is happening too often then there is no further learning and development for the gifted student and this is also one way that these students can become bored and turned off learning. This is really interesting. If you have an area that needs to be covered and that will have a post-test or assessment at the end, then offer this to volunteers at the start. If they complete it without any difficulty then they already know what they need to learn in that unit so why would we make them complete it? Differentiation is about providing DIFFERENT learning opportunities, not more of the same. Our gifted students can still be learning in the same curriculum area but at a different level of complexity or with a different focus. This is similar to number two but it focuses on options. Always have options available for those who need them and make sure that some of the options are at a higher level of difficulty or complexity and have a wider range of contexts rather than a narrow focus. Also, allow for choice and for the students to be able to develop their own learning paths. I've always expected this to happen and it works really well with the teacher guidance and support when and where needed. Student interest is everything in learning and teaching. We still need to expose students to other possibilities and options they may not have thought of - or may not have thought they'd be interested in - but also encourage their own passions and interests. There is always a way that this can be done even if you are in a learning environment where the curriculum planning is quite prescriptive. There are always ways that you can get around this and meet the needs of the students while still following the requirements and expectations of our schools. Ask the students - they will always come up with amazing ideas in this respect! This is so important. It's the concept of like-minds and gives our gifted students a chance to connect with students who are on the same 'wavelength' as they are. This is particularly important for their social and emotional development. Ideally, schools will have cluster-grouped students so that they have like-minds whom they can bounce ideas off and collaborate with. There is much research to support the importance of this. This doesn't mean that multi-level grouping is not also important for gifted students. They can have a powerful effect on helping raise the achievement levels of all students and being able to challenge thinking. Multi-level grouping also helps gifted students become confident in learning with other students with different abilities. Like most things in education, it's all about balance and meeting individual learning, social and emotional needs. A lot of this one is all about teacher expectations. When planning, it's suggested that we plan for more complex learning and understanding and then differentiate and teach from that point. By doing this we are keeping our expectations high and showing our students that we have high expectations for them and their learning. This can be incredibly powerful and you will often find that students you may not have expected to have a high level of understanding in a particular area actually do. It is also in these situations that you can often identify possibly gifted students whereas if your expectations and planning were aimed at a lower level, you may have missed identifying a particular student. 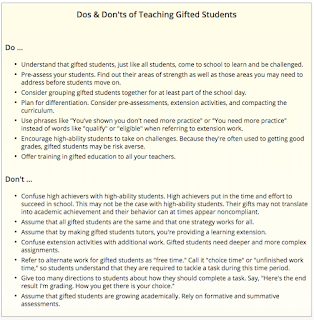 The final part of this article contains a chart for teaching and learning with gifted learners and it's a valuable one so I decided to share it here. What do you do in your teaching and learning programmes that challenge your gifted learners? What would you add to this? What do you think you could do differently? Original generation time 1.5507 seconds. Cache Loaded in: 0.0473 seconds.